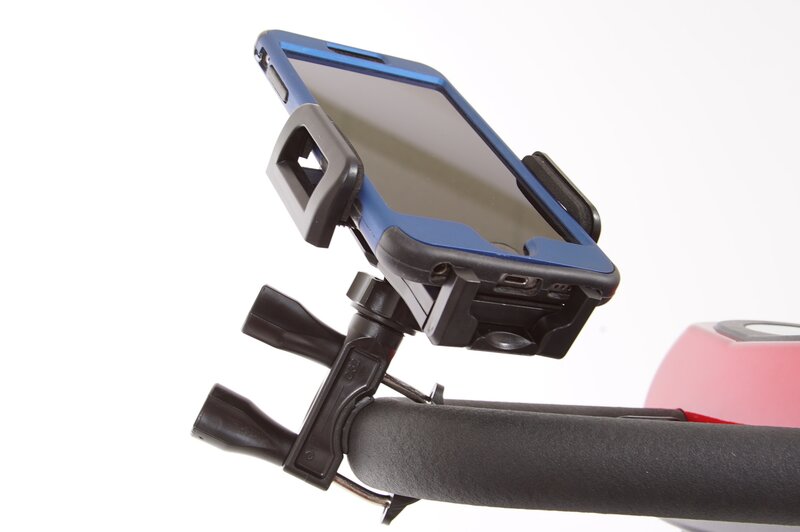 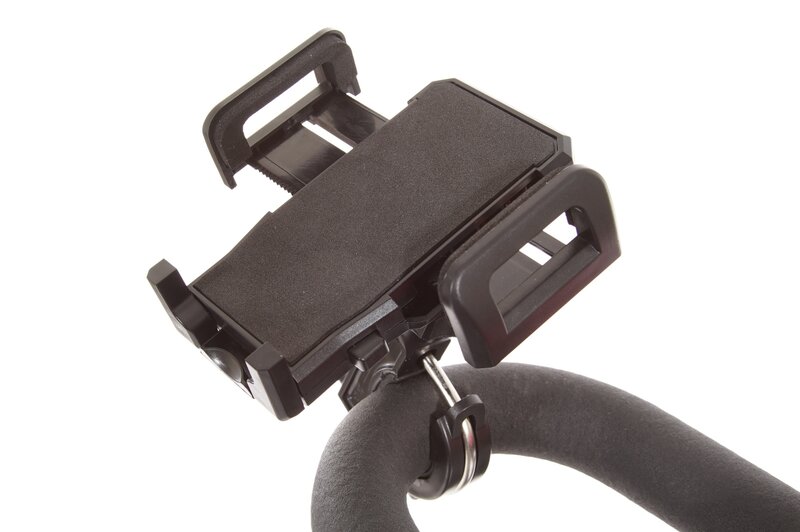 The Cell Phone Holder from Golden fits on the Control Tiller of any Golden Buzzaround or LiteRider Scooter. 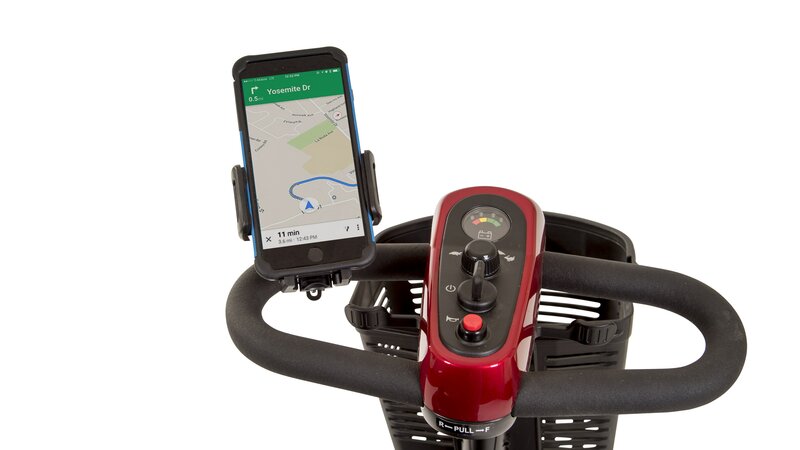 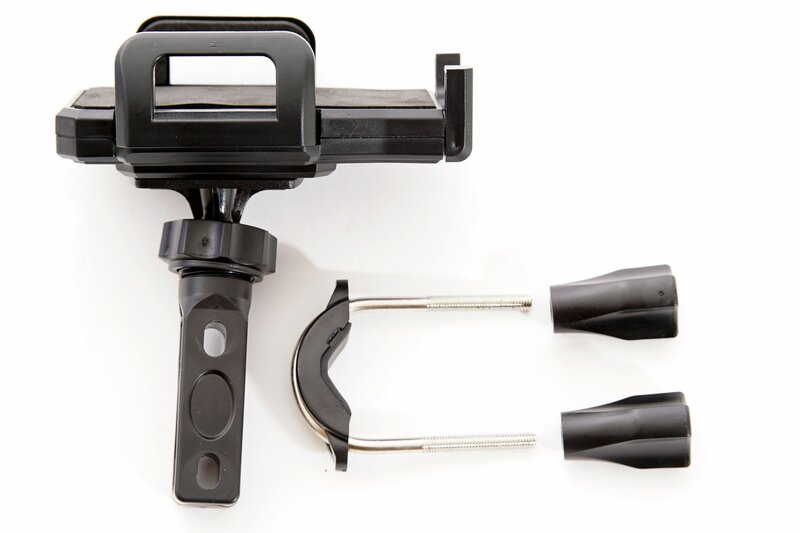 It has two screw mounts that tighten over any “pipe” on your Scooter Drive Control Tiller, perfect for hands-free access to any smart phone. 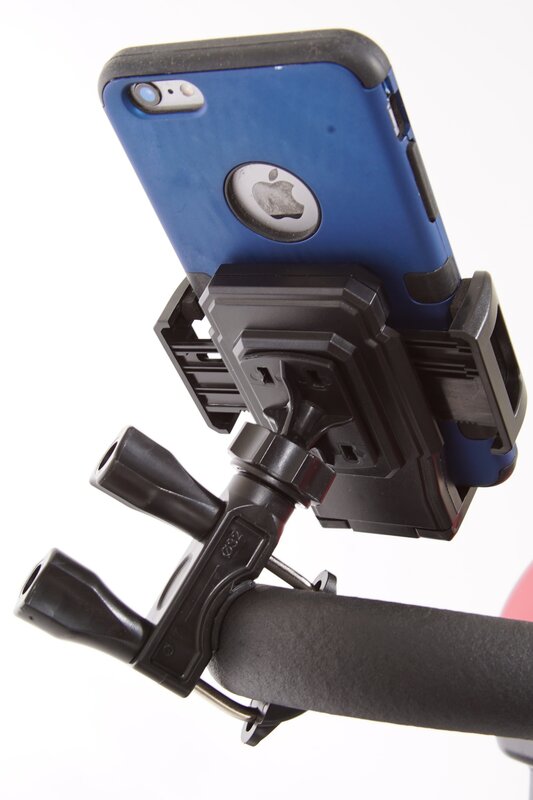 Phones are held in place with a spring load action, holding up to most large cell phone sizes.